You’ll find the best places for adventure and wildlife travel in South Africa from spotting elephants, hippos to close encounters with sharks and hiking the epic Drakensberg Mountains. The best places to visit in South Africa for wildlife sightings, that include the largest elephants on the planet, the largest white rhino population and 2 UNESCO World Heritage Sites! Durban is a complex city full of paradoxes. Traditional healers work in the metropolis, while zen can be found in the waves near the business district. Humpback whale sightings are virtually guaranteed in St Lucia from June-November. It was one of the best whale watching trips I've ever been on! Humpback whale sightings are virtually guaranteed in St Lucia from June-November. It was one of the best whale watching trips I’ve ever been on! Tembe Elephant Park in South Africa was my top travel adventure of 2012! It's home to the tusker elephants, some of the largest elephants in all of Africa. Tembe Elephant Park in South Africa was my top travel adventure of 2012! It’s home to the tusker elephants, some of the largest elephants in all of Africa. My hippo tour in iSimangaliso Wetland Park was one of the highlights of my trip to South Africa! Not only is it a UNESCO Site but it's also home to 800 hippos! My hippo tour in iSimangaliso Wetland Park was one of the highlights of my trip to South Africa! Not only is it a UNESCO Site but it’s also home to 800 hippos! Shark diving in South Africa without a cage is not for the faint of heart. But it offers an incredible chance to first hand observe one of the most misunderstood creatures on the planet. Hluhluwe-Umfolozi Game Park: Game or Self-Drive? Hluhluwe-Umfolozi Game Park in South Africa boasts the Big 5. You're more likely to see them by doing a game drive instead of driving yourself. Hluhluwe-Umfolozi Game Park in South Africa boasts the Big 5. You’re more likely to see them by doing a game drive instead of driving yourself. Giants Castle: One of the Richest Rock Painting Sites in the World! 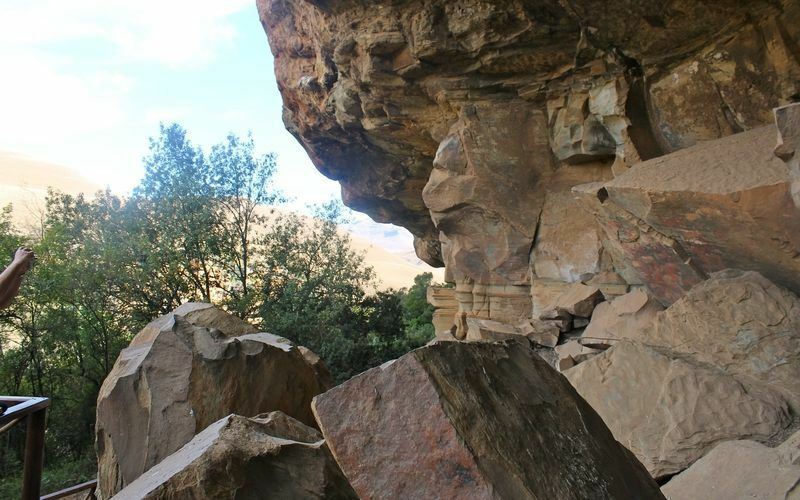 Giants Castle in the Drakensberg, S. Africa, is one of the richest rock painting sites in the world! Main Cave alone features over 500 bushmen paintings! 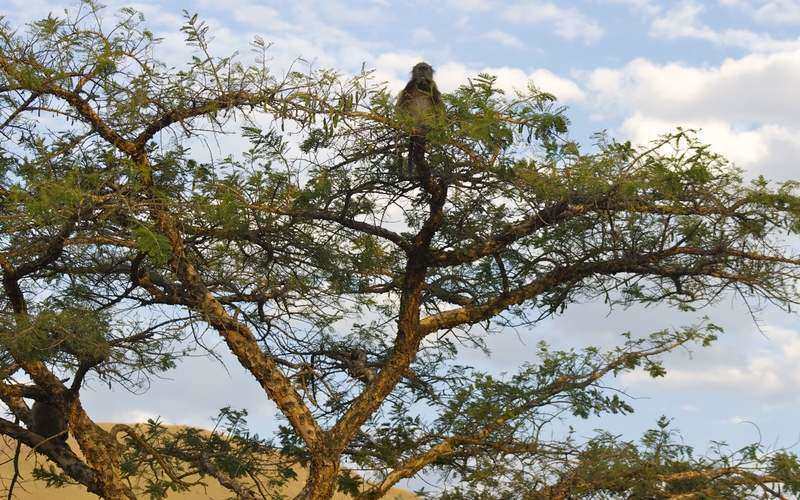 My epic day in the Drakensberg, S. Africa involved two of my favorite things: monkeys and mountains. South African wildlife is so much more than the "Big 5" with an abundance of species that are captivating in their own right. And yes, that includes monkeys! South African wildlife is so much more than the “Big 5” with an abundance of species that are captivating in their own right. And yes, that includes monkeys! Can just visiting a fertility cave make you pregnant? As a newlywed I was curious to find out and in the process experienced one of my most off-beat adventures to date. The Drakensberg mountain range in S. Africa is one of the most beautiful places I have ever hiked. No wonder that it's a UNESCO World Heritage Site. The Drakensberg mountain range in S. Africa is one of the most beautiful places I have ever hiked. No wonder that it’s a UNESCO World Heritage Site. Adventures in a Zulu Village = no electricity, paying a bride price of 11 cows, but also speaking 4 languages and being perfectly happy with what you've got. 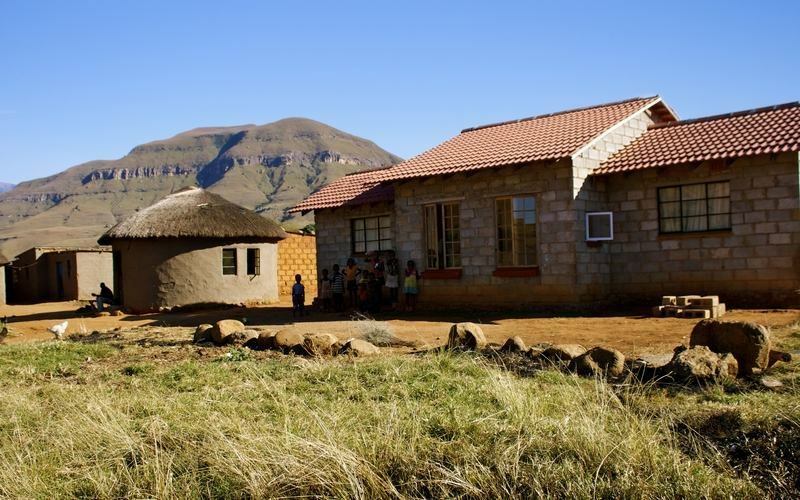 Adventures in a Zulu Village = no electricity, paying a bride price of 11 cows, but also speaking 4 languages and being perfectly happy with what you’ve got.